All that you think you know about blockchain could be wrong. Time to find out. #1. Blockchain is a type of cryptocurrency. Blockchain is considered synonymous with bitcoin and other cryptocurrencies for a reason: it’s where blockchain came from. When you delve into its history blockchain isn’t that new, and in the ten years or so since it’s creation, the fact that it was only created because bitcoin needed a new kind of technology platform to run on has been completely lost. No one knows exactly who designed it. The true identity of Satoshi Nakamoto - whether individual, group, or business - has never been uncovered, but blockchain was actually the by-product of creating bitcoin, a pure digital currency. 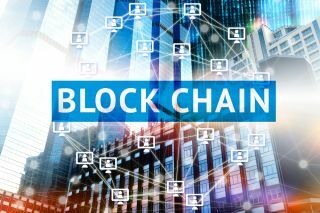 Blockchain technology was required to create trust and a way for people to use the currency without any ties to real money, and it’s been difficult for blockchain to shake off that connection with cryptocurrency. #2. Blockchain is all about getting rich. While the ‘bitcoin bubble’ in 2018 captured people’s imagination as wealth does, the trouble is that it’s more of a commodity than a currency. In fact, I’m reluctant to call bitcoin a currency at all. As there’s only going to be a finite amount ever produced, it’s more like a valuable substance, like gold or diamonds. If we knew how many diamonds there were in the world, in total, that would immediately increase the value of the ones that we have. The huge hikes to nearly $20k per coin wasn’t because the coins had a greater spending power, but because investors and market traders were speculating on it. They live in a very different world to most of us: we think of money as something you can buy something with, but they don’t, and that made bitcoin (for a time) only valuable to investors. Can you get rich with bitcoin now? Probably not - or at least, not as rich as as you could. #3. Blockchain is impossible to hack. This is probably the biggest myth in the industry itself: that blockchain is completely impossible to hack. Sadly, it’s not! Blockchain has many variants currently in use, with no one definite version of blockchain out there in the marketplace. This means that there is no such thing currently as ‘a’ blockchain, and standardisations are only now starting to come into play. There are many different types of blockchain, different platforms and iterations, and just like all other technologies that are still in early stages, there are lots of players and actors all hoping to create ‘the’ definite version of blockchain. But that hasn’t happened, and that leaves different types of blockchain - whether public or private - open to hacking in one form or another. #4. Blockchain is only used by criminals. I presented at an event about blockchain not too long ago, and I was asked about this because there’s a great amount of fear about blockchain being used by criminals, by gangs, and in illegal activity. And you would be right to be a little cautious. After all, blockchain was designed by anarchists to circumnavigate financial institutions, by a person or group that considered themselves ‘cypherpunks’. It has since been used by anonymous hacker types, and businesses that are not exactly run of the mill. It’s inevitable in an unregulated and non-standardised market that criminals will choose blockchain as one of their technologies. So it’s important for blockchain to transition; to be clearer about what it is and what its values are, because there are plenty of positive things that this technology can deliver. #5. You never hear any ‘good news’ about blockchain’. There’s a real democratic power within blockchain technology. At its very core, it gives you the ability to track something from beginning to end - and in the world that we live in, which is very consumer driven, that’s a provenance that is becoming increasingly important to us. We’re starting to look at our products differently. From clothes to coffee to chocolate, we’re starting to ask big companies more questions about where the materials come from, where it was manufactured, and how much people in that supply chain are being paid. Unfortunately, many of the companies involved in the supply chain, particularly with cash crops such as chocolate and coffee, are battling the drugs trade too. When it’s more lucrative for farmers to grow drugs rather than coffee, you need to be able to reward those growers. Blockchain is a great tool for that. Adding a technology layer ensures that you can track goods, and this benefits suppliers who can be confident in their sales process, and consumers who can be confident that what they are purchasing really is fairtrade and that growers are being paid a fair price. One company that is doing just that is Choco4Peace, who will be speaking at Blockercon 2019 this year sharing how a simple technology is making a big impact for communities. We care about where our products come from, and we want to support independent businesses - and this will change our purchasing habits. Anything with a complex supply chain that moves across borders could benefit from this accountability. Blockchain enables that, and that is very good news. #6. Businesses can ignore blockchain - it’s not relevant to my industry. Businesses can ignore it, if they want to, but they’ll be missing out on the opportunity to solve one of the biggest challenges to industry at the moment: data and transparency issues. Blockchain is one technology that could solve that. It’s more transparent, as its purpose is to create a public and visible ledger of transactions. Anyone with lots of data within their business should be considering it. #7. Blockchain is just a fad; it will pass. With any new technology, it’s right that we have some cynicism about it. To some extent, that cynicism is the forge that new technologies must go through to be hammered out. If a new kind of technology is truly going to be disruptive and have impact, then it needs a level of scrutiny to prove itself. At the same time, there needs to be a willingness to try new things and adopt new technologies, because blockchain is not going anywhere. The blockchain industry is currently split between those who are evangelical and won’t hear any criticism about it, describing it as the solution to all problems. At the other end, you have people dismissing it out of hand because of the myths I’ve debunked in this article. Neither perspective is right. The truth is, of course, in the middle: blockchain can be useful to solve problems and we should pay attention to it, particularly to be a part of the solutions to problems that technology hasn’t traditionally been applied to. Take the Northern Ireland backstop debate around Brexit: blockchain could be part of the solution as you don’t need to trace the bits in the middle, just the beginning and end of where products have flowed. We need to scrutinise blockchain but be open to using it. These myths have prevented people in the past from engaging with this technology, and I don’t think that they should.